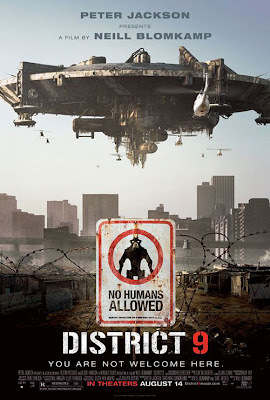 Thanks to SJ for the reference to this excellent analysis of District 9 by Ato Quayson. Nice piece. Finally got to read it. the article came up a lot when Mbembe and Nuttal gave a seminar on district 9 at my university. My only wahala still is that there is just something reactionary about crying about racism in western representations of Africa. Was I surprised when quayson mentioned hegel and conrad? Its the same all rant. Don't we get it? What exactly are we asking of the west? That they should become benevolent? Just the same way we pray that god would touch the hearts of our corrupt leaders? I don't think we get it yet. That power does not exist within a moral order. The west and our leaders will continue do to what people with power do and we will continue to do what victims do--complain. Or else are we are asking the west to take the moral high road, condescend towards us, and give us the midas touch of humanity in their own stories? I kind of agree with spinoza that there is no right without power.